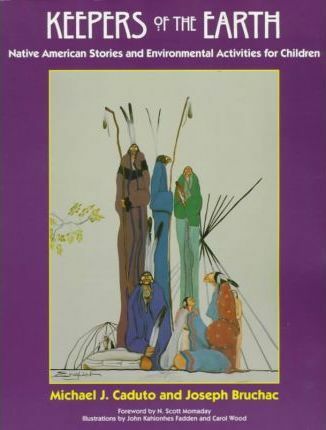 Beginning with Native American stories, this invaluable resource provides hands-on activities that inspire children to understand and appreciate Native American cultures and the Earth. Joseph Bruchac, coauthor of The Keepers of the Earth series, is a nationally acclaimed Native American storyteller and writer who has authored more than 70 books of fiction, nonfiction, and poetry for adults and children. He lives in upstate New York. Michael J. Caduto is an award-winning and internationally known author, master storyteller, poet, musician, educator, and ecologist. He has received numerous awards, including the New York State Outdoor Education Association's Art and Literary Award, New England's Regional Award for Excellence in Environmental Education, the American Booksellers' "Pick of the List" Award, and the Association of Children's Booksellers' Choice Award, among others. He travels widely presenting environmental and cultural performances, speeches and workshops for children and adults. His recent books include Earth Tales from Around the World and The Crimson Elf: Italian Tales of Wisdom. He lives in Vermont.